Australia is the first country to subsidize Hepatitis C drugs - but will it be enough for everybody? In a surprising and warm-hearted gesture, the Australian government announced in December 2015 that they will pay for all Hepatitis C medications Australians need. They pledged a whole of $1 billion to the cause. The announcement came from Health Minister Sussan Ley, representing Turnbull's government. According to Australian Hepatitis C article, 1 out of 100 people in Australia is suffering from Hepatitis C. With 230,000 Hepatitis C patients, trying to tackle the disease with the new sofosbuvir-based regimen might prove difficult, and it will definitely prove very expensive. An additional 10,000 patients per year are being reported. The government went above and beyond claiming they don't only want to try to stop the spread of the disease but wipe it out completely. This is now possible thanks to the newly discovered treatment molecules such as sofosbuvir, daclatasvir and ledipasvir. The older ribavirin molecule is included in the treatment of certain genotypes. The government wants to wipe out Hepatitis C within a generation. The treatment will be available to every Australian, even those living abroad, and highlights one of the most daring decisions of Australian government as far as healthcare is concerned. How does an average Australian get their hands of subsidized Hepatitis C treatment? Hepatitis C treatment which normally costs most than $80,000 will now be sold in pharmacies all over Australia for as little as $37.70 for general patients and $6.10 for concessional patients. 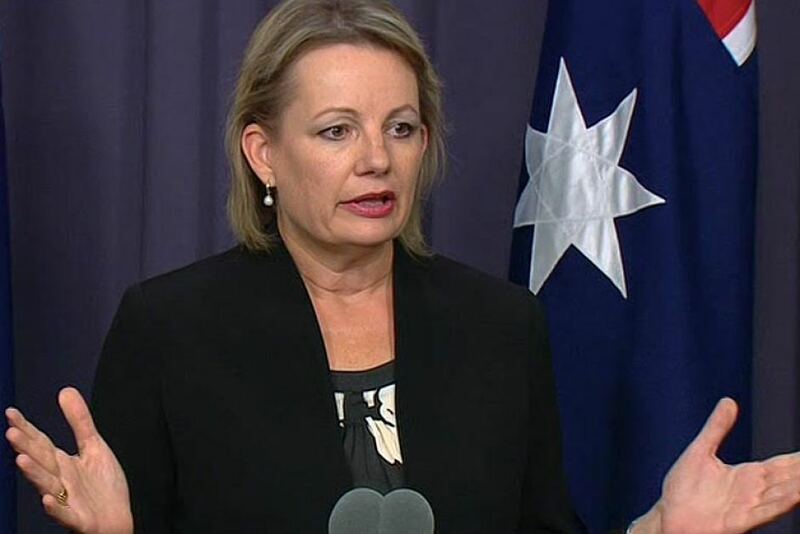 The rest of the bill will be paid by the government, according to Minister Sussan Ley. This sounds like a very sweet deal for every Hepatitis C patient and the government is enjoying approval for the help but how likely will the pledged $1 billion help all the patients? One has to be aware that the price of Harvoni (ledipasvir 90 mg/sofosbuvir 400 mg) for Hepatitis C treatment in Australia is still $80,000. Governments can negotiate these prices but as we've seen in France, UK and Germany, the price was be reduced but not significantly. Here is a detailed Hepatitis C factsheet for Australian patients. Here is the thing. $1 billion is not nearly enough for everybody to get treated. If you do the math, you will realize that at $80,000 per treatment, $1 billion will be used to treat only 12,500 patients. Out of 230,000 registered Hepatitis C patients in Australia, this is still only 5%. Annually around 700 patients die because of Hepatitis C or Hepatitis C related illnesses. With the government donation and healing the total of 5% of patients, the number of deaths would theoretically be reduced to 665 people. Which is still a lot. What can Hepatitis C patients do to get the medicines? My advice would be to run directly to your doctor and make use of the subsidized medicines - because with such a demand, the funds will soon run out, and 95% of patients will again be struggling to get the medicines. This is where FixHepC Buyers Club can help you out. We provide you with tested Hepatitis C drugs such as sofosbuvir, daclatasvir and ledipasvir for around $2,000 per treatment (depending on the genotype and treatment). This is quite a reduction in price compared to $80,000 that would need to be paid for the original Harvoni (ledipasvir/sofosbuvir). You can contact us with your inquiries and we will to best of our ability help you. Hypothetical scenario - What is everybody gets treated by FixHepC provided medications? Australian government is willing to help eradicate Hepatitis C in Australia with $1 billion. Using the original medicine, this will heal about 12,500 while keeping in mind that every year there are 10,000 new patients. This maths proves this approach being quite ineffective. On the other hand, FixHepC can offer Hepatitis C treatment for as little as $2,000. With these prices, $1 billion would really go a long way in making Hepatitis C medicines accessible to everyone in need of them. Hypothetically, FixHepC could make a good use of this funds and provide Hepatitis C drugs to 500,000 patients. This means that all 230,000 Australian patients could be treated and with a 95% success rate of treatment, a great majority of them would be cured. This is a way how Australia could wipe out Hepatitis C in less than a year. What is more, the remaining 270,000 treatments could be used to heal patients in other countries such as New Zealand and Indonesia as well. That would be a very important statement in the world. Australia would be looked upon as a country that sees beyond its borders and recognized the need for safe medication of all patients, not just the ones with Australian passports. But in the end, this is more or less just a wishful thinking. Step into contact with us and we will help you with Hepatitis C needs.